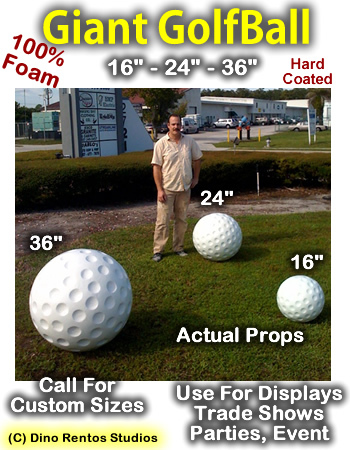 16 Inch Golfball Foam Prop - Hard Coated - Dino Rentos Studios, INC. 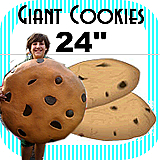 These are great props for photographers, events, trade shows and more. Each is made from 1.5 pound foam, epoxy coated and then painted white and high gloss coated. Great for indoor or outdoor use. Call for quantity discount on shipping. Price is for one 16" golfball.